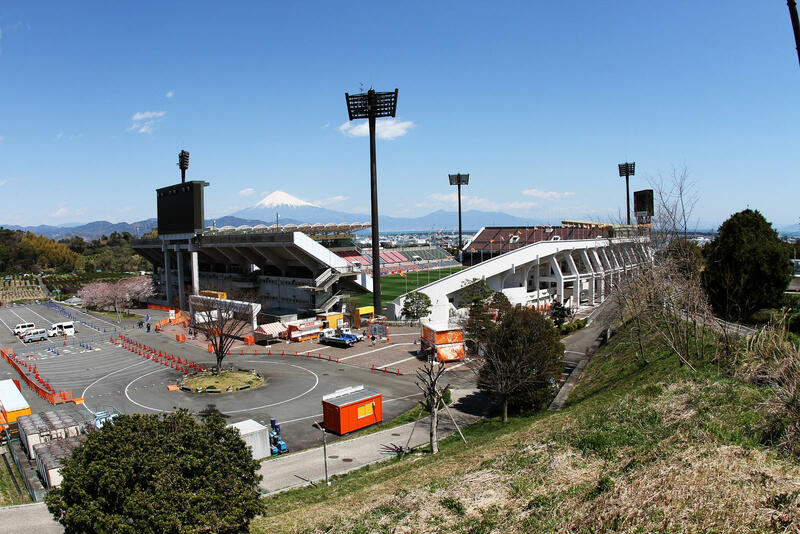 When it was opened in 1991, it could hold some 13,000 people. 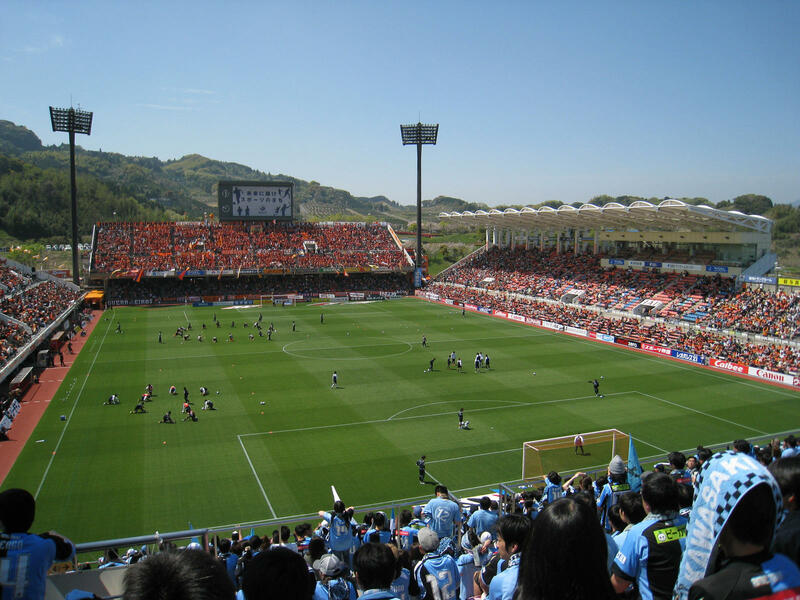 A year later football side S-Pulse moved in and soon the ground's standard was found too low, prompting first renovation works in 1994 and another revamp in 2003, leading to its current capacity and unique shape with end stands having two tiers, while side ones have a single tier. 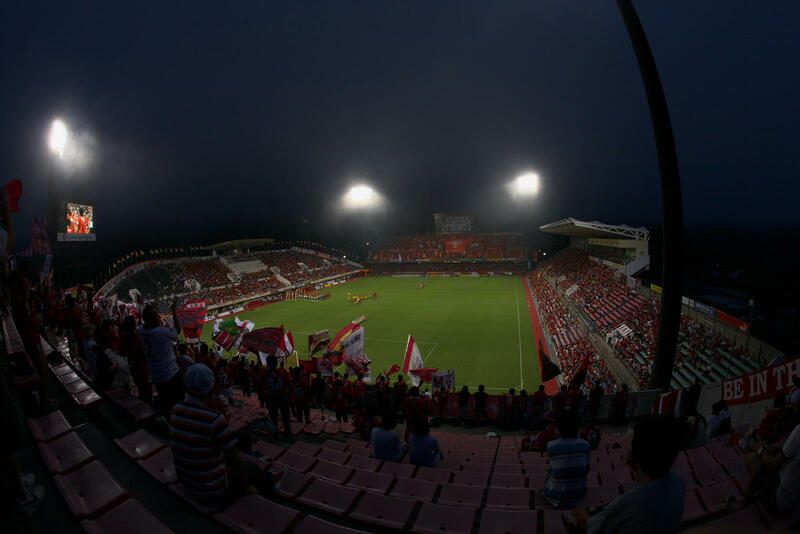 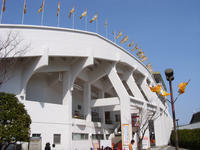 Apart from frequent J.League use, the venue was used for a friendly between Serbia and Mexico. 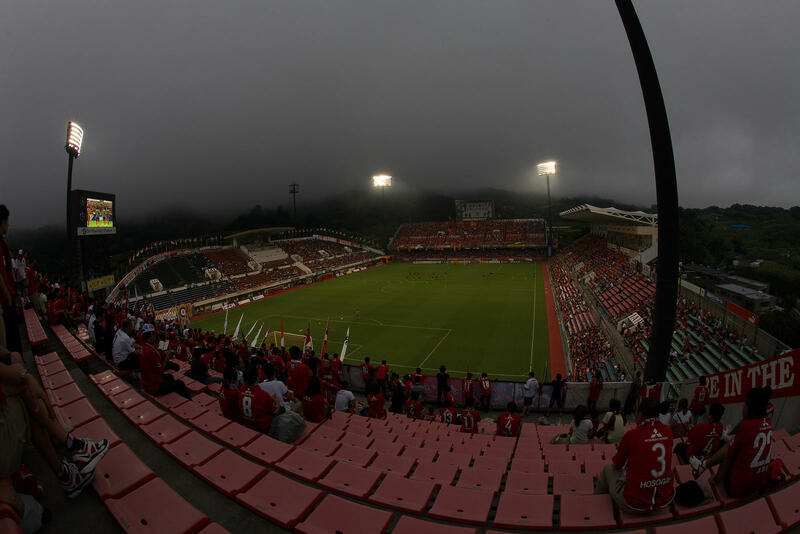 Also Japan came to play an AFC Asian Cup qualifier against Hong Kong here in 2009. 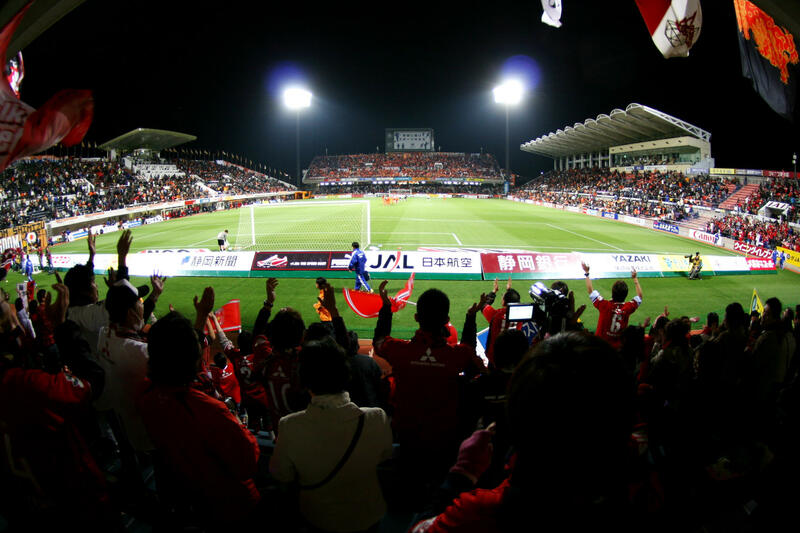 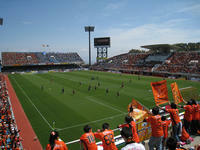 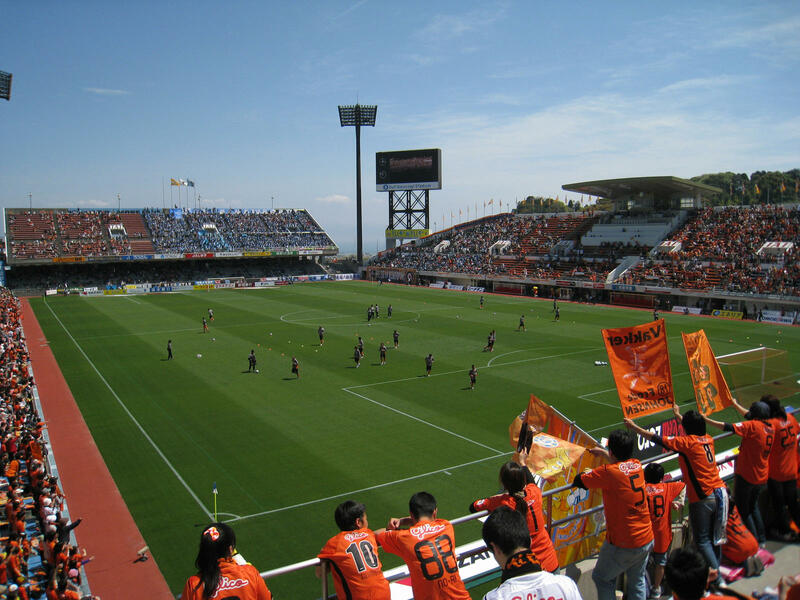 That very year first naming rights deal was sealed for the stadium, rebranding it Outsourcing Nihondaira Stadium until 2013.